Cats need to drink water, just like us humans. Depending on what type of food you feed your cats, they might need more or less water per day. Wet cat food offers 75% off their daily intake of water within the food, while cats need to drink a lot of water next to a dish of dry kibble. Cats are also known to be very picky as to where they will drink from. We need to make the bowls with water interesting enough for them to drink from. Naturally a clean cat water dish will help with that, but some cats might not be interested before it sparkles and moves, such as is the case with a CatIt Cat Water Fountain. 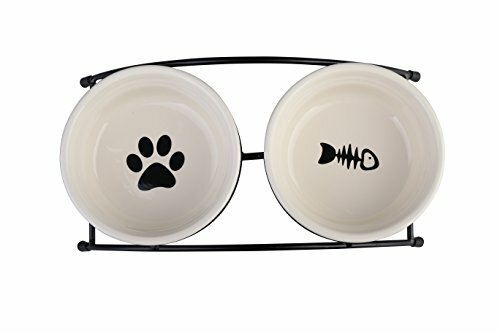 A cat water dish as well as a cat food dish, will easily gain bacteria and algae when it is in the open air and sunlight. Open water generally has a reaction with open air and sunlight. Bacteria in the air will settle for the bowl of water and reproduce themselves. Leaving cat water dishes for a longer amount of time in open air and sunlight, will generate these bacteria in the bowl. You will not so easily see the green algae that you find in the pond in your garden, but when you put your fingers in, you will find there is some slippery substance in your bowl. This is in some days and seasons worse than others, but generally it will occur to any type of bowl if it isn’t regularly cleaned. A dirty bowl and its bacteria will cause trouble for your cat. The most known problem is an acne that can build up under their chin. Dirty water in itself is neither very healthy to drink. Both cat food and cat water should be served in a dish that is easy to clean and stay relatively clean. 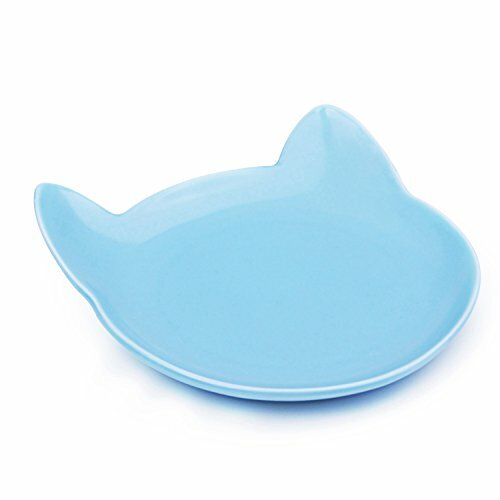 While many products are nowadays made in plastic, plastic is definitely not the right type of material for cat dishes. Plastic scratches easily and bacteria will nestle themselves within these scratches. On top of that are many plastics produced with BPA’s which cats can be extremely allergic to. and in that order. Stainless steel is definitely the best. Bacteria will have great difficulty staying on this surface. Ceramics are a second good option and glass is your third option, even though glass can yet again scratch. Plastic is really on fourth place, if you really cannot find anything else. Unfortunately, most cat water fountains are produced in plastic, but they make sure that the plastic is free from BPA. Cat water fountains are usually closed systems though, only the movable water is surfacing from the fountain and getting in contact with sunlight and open air. Cat water fountains also continuously filter the water for impurities and dirt. CatIt has a fountain with a stainless steel drinking part on the top. Whether you have the right type of cat dish or not, as you can see, cleaning your cat water dishes regularly is still the most essential part. Not only do the cats want fresh water in that bowl, but also the buildup of bacteria will leave a dirty slippery substance to the surface of the bowl. This slippery, often slimy substance does not come off easily. You will really have to use some warm soapy water and some sponge, scrub or brush to clean it off properly. Repeatedly flush the dishes under water, so that all soapy remains disappear. Cleaning the cat dishes using a dish water is also a good solution, but because of the harmful soap rests, it is best to give your cat dish an extra flush under your water tap before serving a fresh load of water to your cats. It is really important that cats get enough water daily, because most of the cat foods do not offer enough water to properly keep your cat hydrated at all times. Cats are picky when it comes to their environment, so a clean water bowl is definitely helpful in providing your cat with the healthy water intake. Harmful bacteria and algae build up in cat water dishes over time and need to be cleaned regularly. While it can help to use the right type of cat dish, regular cleaning and proper hygiene is the most important factor in keeping your cat happy and healthy. Very interesting, good job and thanks for sharing such a good blog. Cleaning your cat dishes is important to prevent any diseases and infections. Is it safe to put the cat dishes in the dish washer? You are very right. If your cat dishes can be put in the dishwasher you can surely put them in. 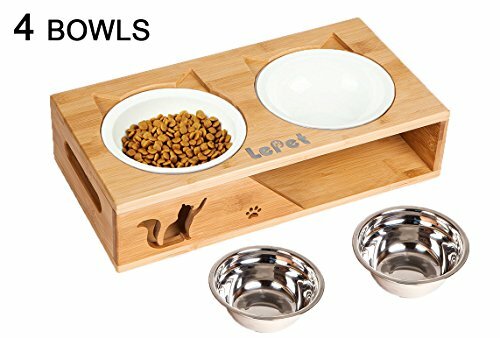 It is important to have the right type of cat dishes for your cats. I suggest that you rinse the bowls after cleaning them in the dishwasher and before using them, just to make sure that no soap residues remain in the cat bowls.